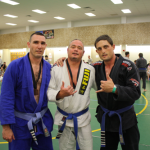 Congratulations to the team at the Jax BJJ Open! Team Victor Huber brought home four gold medals, a silver and a bronze at the 2012 Jacksonville BJJ Open on March 24th, 2012. 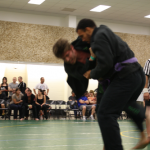 Everyone competed well and represented this wonderful martial art that we love so much! Congratulations Rob, Cecilia, Tim, The Bus, Darren, Boogie and everyone else who came to support and coach the team. It’s a great start to the 2012 competition season. 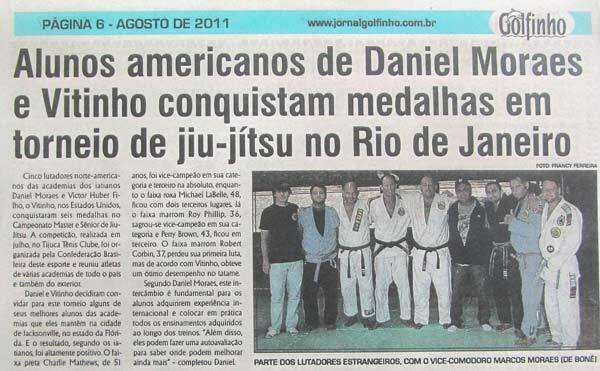 English Translation: Five fighters from the U.S. academies of Daniel Moraes and Victor Huber (Vitinho) won medals here in the Masters and Seniors Jiu-Jitsu Championship. 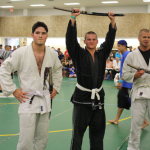 The competition, held in July at the Tijuca Tennis Club, was organized by the Brazilian Jiu-Jitsu Confederation. Athletes gathered from various gyms around the country and from abroad. Daniel and Vitinho decided to invite some of their best students from their academies in the city of Jacksonville, Florida. The result was highly positive. 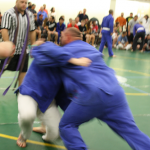 Black belt Charlie Matthews, 51, was runner-up in his category and third in absolute, while purple belt Michael LaBelle, 48, got two third places. Roy Phillipe, 36, won the runner-up in his category and Perry Brown, 43, was third. 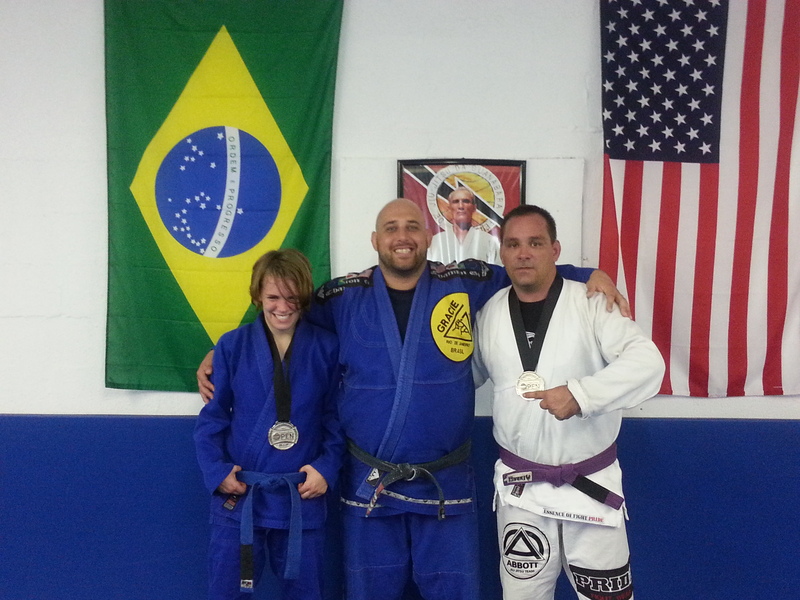 Brown belt Robert Corbin, 37, lost his fight, but according to Vitinho, gave a great performance on the mat. According to Daniel Moraes, this exchange is critical for their students to acquire international experience and put into practice all the lessons learned during the training. Furthermore, they can do a self-assessment to know where they can improve further. Team Victor Huber is training hard for the Worlds in Rio de Janeiro in July. Last year, Charlie and Sean brought home golds from the Masters World Championships and the team plans to add to the medal count this July. 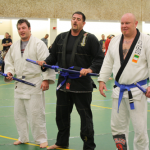 Come train with us and help us represent North Florida when we compete in the mecca of Gracie Jiu-Jitsu!